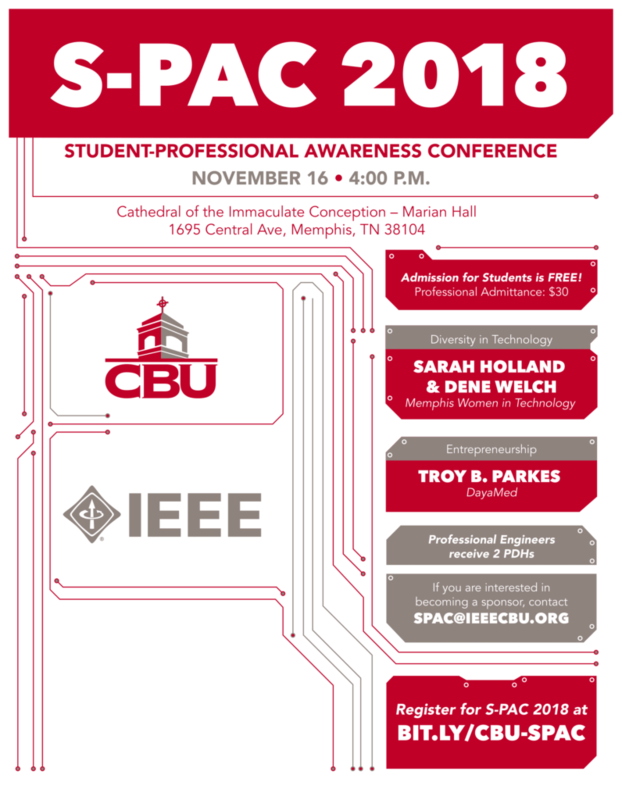 In 2007 the IEEE Memphis Section joined forces with 6 engineering schools, 5 engineering disciplines, and a host of professionals and volunteers to organize the region’s first Student-Professional Awareness Conference (S-PAC). The IEEE Memphis Section firmly believes that the future of engineering, whichever discipline it may be (Electrical, Computer, Mechanical, Civil, Biomedical, etc. ), lies in the hands of students. Therefore we’re taking a proactive approach by building a relationship with these individuals and guiding them towards a bright future.